The love for lace is immortal! Seasons come and go, fashion in and out but lace still remain. The different is the colour, pairing, texture or course cutting and mix and match effect. For spring and summer I love to wear lighter and brighter dress. It’s the season of love, blooming, fun and holiday… do I say it correct holiday? We all love holiday, what do you think of this BeeBee Opss White Lace Dress from Corshacomo that I wore during my recent trip to Korea. 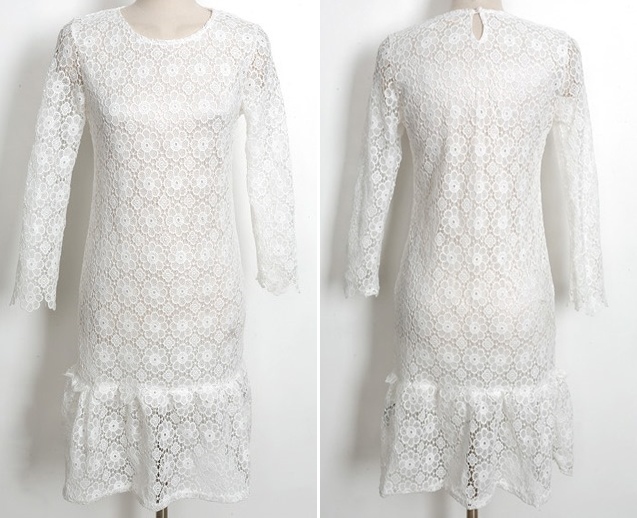 I love the classic versatility of this white lace dress, the cutting is fits to my body shape comfortably. It is not too tight and allows easy mobility. The dress is available in 2 sizes S and M. I am wearing the M size and they only have 1 color which is white. It is selling at RM109 and you can purchase online here. Love this dress you wore. Very dreamy and nice! You have a long body which makes this dress look great on you. I guess I will look odd in this! you look like a modern day Princess. So elegant-looking lace dress. The lace design is very pretty. Your lace dress is very pretty on you. You look very pretty in your lace dress. Lace really's beautiful for dresses and other household items. Lace dresses are the most sought-after for evening gown and for any other occasions. 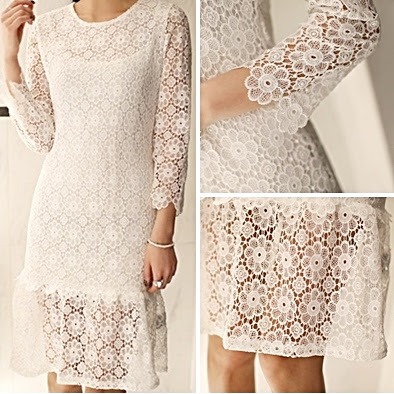 White color lace is the most saleable of all. you're so pretty! the dress looks lovely on you. very feminine and princessy! It's pretty but I don't think I can pull off a pretty dress like it. :) Lace is for the daintier women, more girly. When you're branded brusque for a good reason, you need to think twice about lacing up. :) It's pretty, though. I love the dress, it's perfect for summer. Like how you trimmed your eyebrows..nice shape. I agree, I love lace dresses and tops! That dress looks beautiful on you and love that you paired it with pink flats. Not everyone can carry off lace. You look so pretty in a white dress. It highlights your complexion. You are so right. Lace never goes out of style. I love laces because it's very feminine. I love your white dress! I can definitely see myself wearing it to different occasions. I love lace in the spring. I just bought a lace dress from Guess for me and another for my daughter. They are truly classy and you look amazing in your own. You look gorgeous! The dress fits you to a T! You look so pretty and fab! LAces have their way of making you shine and be even more glamorous! Thumbs up!